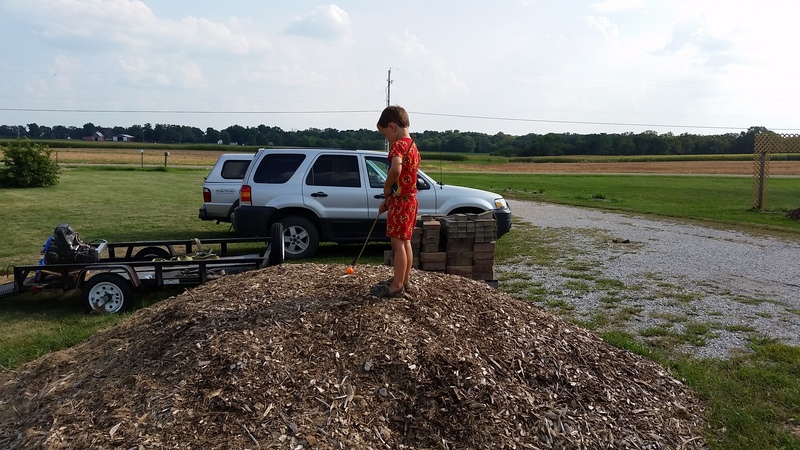 We spent our Labor Day spreading mulch. 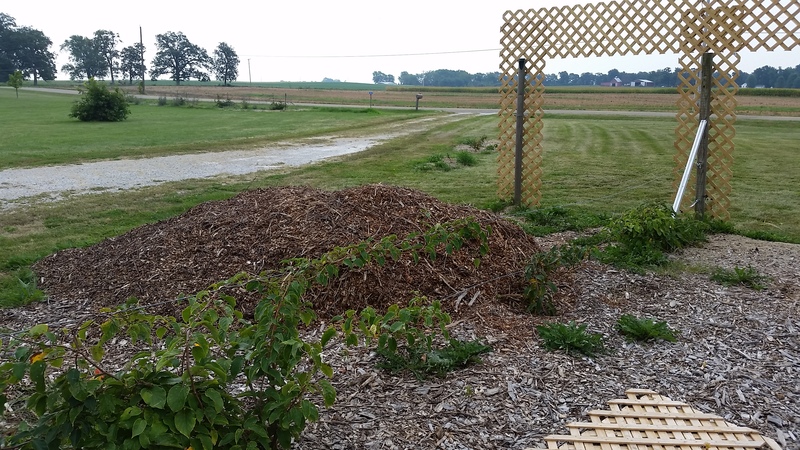 Two piles of woodchips have been occupying territory in our yard for two months. No exaggeration. We had hoped for a cool day. So we spent the day outside, guzzling water, laying cardboard and spreading wood chips all over the vineyard. I’d laid a pretty thick blanket of cardboard down before the woodchips were piled on top, so it should look like this for awhile. The kiwi, grapes and hops really pop out against the mulch, allowing us to see how much they have grown in a year. 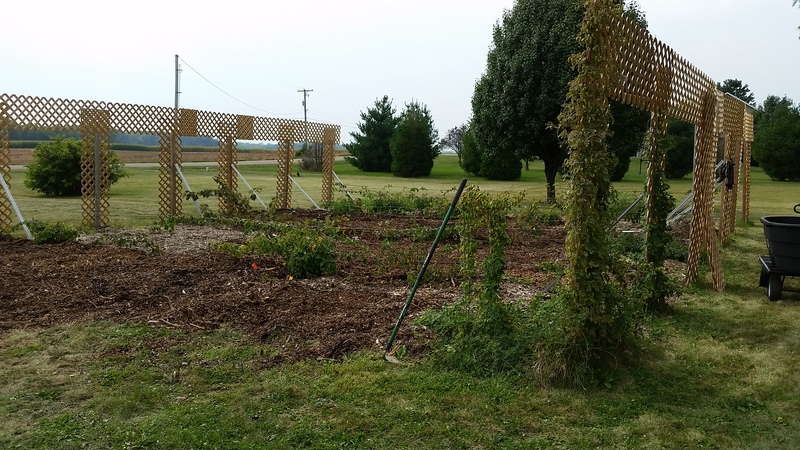 While pulling the old mulch back, we found a lemon balm plant, a hop growing out in the middle of the vineyard and two unknown plants that may or may not be weeds. By the time we we’d finished, the air had cooled and rain was on the horizon. I stood back to admire the work that “we” (mainly my father-in-law and husband) had done.